You are a very, very mean man. When you said you were writing a trilogy, I was a happy girl. It meant I would only have to buy your three books, and have a few weeks of fun and fast reading. You mislead me to believing that the story of Eragon would end after three books. Now, you tell me you’re writing four books. It’s not the Inheritance Trilogy any more, we have to call it the Inheritance Cycle now. I would be okay with that, if you had such an intricate story to tell that it didn’t fit in three normal books. But it turns out, this isn’t the case. 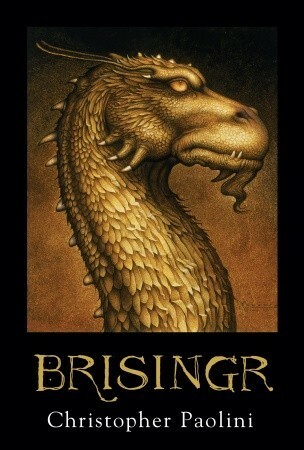 You wrote a 750 page monster called Brisingr. And absolutely nothing happens in it. No really. It’s 700 pages of filler. All the stuff going on in this book can be reduced to fifty pages of true plot. Every little thing in the book is the same. Nothing changes. Galbatorix is still alive. Roran is still smashing people’s heads in. Sapphira still eats sheep. And Nesuada is still the Varden queen. Everyone hates Urgalls and the Dwarves like to stay in their mountains. You know, Eldest was pretty boring at times, but at least it got a big epic fight at the end. And where is Eragon in Brisingr in the last hundred pages? He’s at the elves’ place, hanging out with his elfish friends. Yes really. That is NOT how you write an engaging story. Isn’t the first thing they teach in writing class that the exiting part should be at the END of the book? Apparently Mr Paolini skipped this class. The thing is, I read this series because it has dragons in them. I like dragons. But I didn’t get my dragon fix here at all. Eragon is just running around the world like a headless chicken, doing nothing at all. And the other 300 pages we follow Roran hitting people with a hammer. 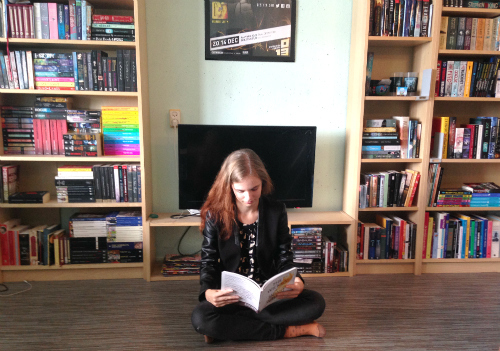 There is absolutely no character growth in this book. Arya is almost completely absent, Eragon doesn’t learn a thing, and Roran is still boring. I just really can’t care about him rising through the ranks of the Varden army. You could have just mentioned it. I don’t have to see it. But I do get why there are so many Roran chapters. If you take them all out, there is absolutely no action in this book. It’s just a big bunch of politics, of waiting, of some more politics, and finally some travelling. That, mister Paolini, makes not for an engaging book. I guess I’m just disappointed. I really liked Eragon. It was a nice coming of age story. But every book I read in this series is longer and less interesting. I don’t know if I will read the fourth book. I think I won’t, to be really honest with you. Or maybe I’ll just read the last hundred pages. I hope at least those will be interesting.